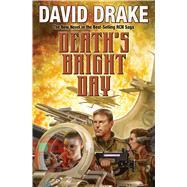 A NEW NOVEL IN THE NATIONALLY BEST-SELLING RCN MILITARY SF SERIES! Leary and Mundy are back in another military science fiction adventure as they undertake a mission to a distant but critical star system. IT'S JUST A REBELLION IN A DISTANT STAR CLUSTER. SO THEY SAID. Captain Daniel Leary thinks that his marriage will allow him to slip into the quiet role of a naval officer in peacetime. His friend, the spy and cybrarian Adele Mundy, is content to be collating data in her library. But high officials of both superpowers are involved! Those who want Daniel and Adele to become involved in the Tarbell Stars claim that only they can prevent a war between the Republic of Cinnabar and its great rival, the Alliance of Free Stars. The conflict is political, but at the sharp end it means blazing warfare and cold-blooded murder. Daniel and Adele will be at the sharp end. The odds in ships and guns are badly in the enemy's favor. Daniel, Adele, and the crew of the Princess Cecile will do everything humanly possible, but that may not be enough against an enemy battleship. And even if Daniel and his companions succeed in battle, they can't be sure whether their employers really wanted them to win—or whether they even want them alive. All they can do is to race forward, hoping to come through into DEATH'S BRIGHT DAY.